Amazing photos ! Love it ! Super sweet and so inspiring! I love your work. It’s so refreshing to hear you talk about blogging for yourself, sort of. I know you said your viewers motivate you to keep it going, but all in all, you blog about things you love. Not what you think people want to see. I think that’s the way to do it. If your heart is in it – which it shows – people will love it. I’ve learned a lot from you. Blogging is something I have tried at and just can’t get the hang of it. Perhaps I over-think it. LOVE all your work! You know you inspire us!! We were thrilled to find you were blogging on top of creating at Jedidiah. Your corner of the internet is always beautiful, kind, creative, colorful and always a source of joy. Congrats on your spread in Artful Blogging! This is how I heard of your blog! Congrats, that is such a gorgeous magazine to be featured in. your blog was my favorite, by far. Congrats Kelli! Can you please draw a picture of your precious little pumpkin?? I wanna seeee! You never cease to amaze me and I love the way you have been so blessed with creativity AND that you’ve found a way to serve your gift to the world. Go girl go!! I just read your article in Artful Blogging today at Barnes and Nobles! I love your artwork and your fashion sense is amazing too! Definitely adding your website as one of my bookmarks. Loved your article in ‘Artful Blogging’. So wonderful to find your lovely blog. Congrats on being a new mom. It’s the greatest job in the world! 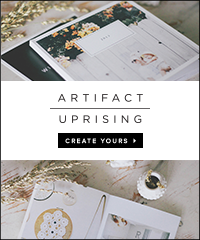 About two weeks ago i bought artful blogging aug/sep/oct and i found your blog through there. I have to say, i love your blog!! its so very inspiring!